A milestone was celebrated at Matafele with the launch of the newest books by Author, Reverend Dr. Ioane Asalele Lefauaitu Afoa, yesterday. “The Gospel According to Mathew” and “The Gospel According to John” contains commentary and in depth analysis of the gospels from a Samoan perspective. The books are the latest addition to a growing collection of books written and published by the author. His other books include Divorce Counselling with Samoan Couples, Live with Pains, Samoan Dictionary of the Bible, and The Church History and The History of Major World Religions. The launch at Matafele yesterday was a joyous occasion. 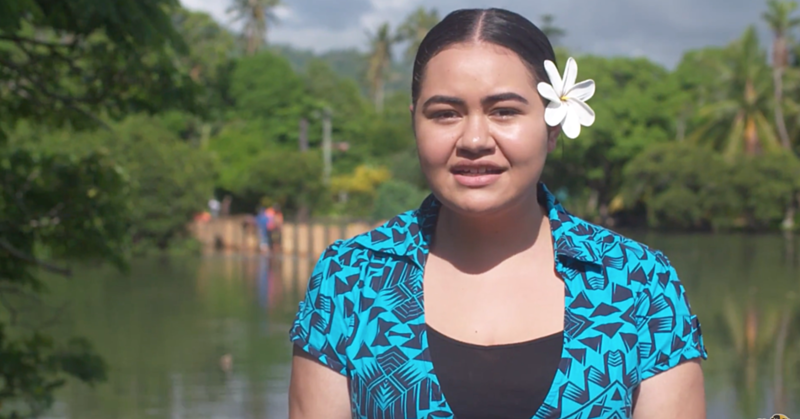 It brought together various church leaders including Archbishop Lui Alapati Mataeliga of the Catholic Church, Chairman of Congregational Christian Church of Samoa, Reverend Elder Tautiaga Senara and senior Methodist Church leaders, Rev. 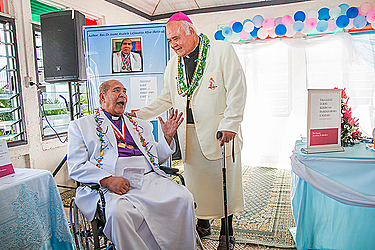 Dr. Eteuati Tuioti and Rev. Faulalo Leti. “One of my books, Live with Pains was all dedicated with love to my late wife who is no longer with us. It was really hard for me when I lost her. As I wrote this book, it projects that as a person lives, they live with pain,” said author Rev. Dr. Afoa. “It was a very difficult journey for me but I am thankful to speeches previously delivered, it encouraged me to be strong. If you want to be a writer always remember these five things. The eldest son of Rev. Dr. Afoa, Lefauaitu Feala Afoa, hailed his father’s drive to continue to write. “One difficulty in putting together his work is his old age,” he said. “It is hard for anyone his age to motivate themselves and the pressure to actually finish something that he started which is another barrier, that created a lot of challenges. The project cost an estimated $20,000. The author is a lecturer, counsellor, and a pastor. 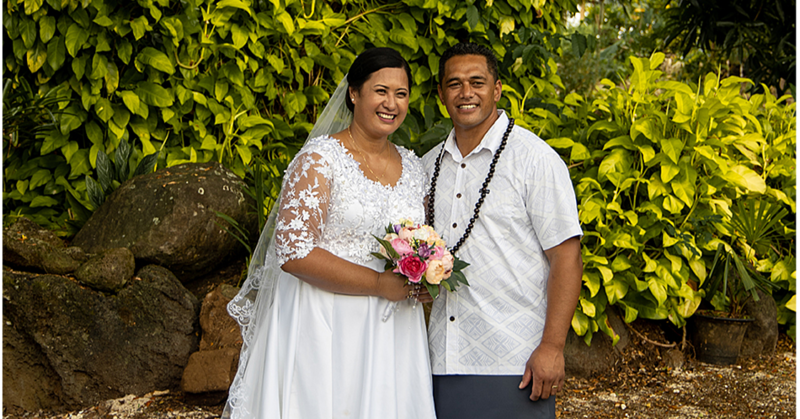 He received his theological training in Piula Theological College in Samoa (Certificate). Since Dr. Afoa’s wife passed away in late 2003, he retired as a Minister. 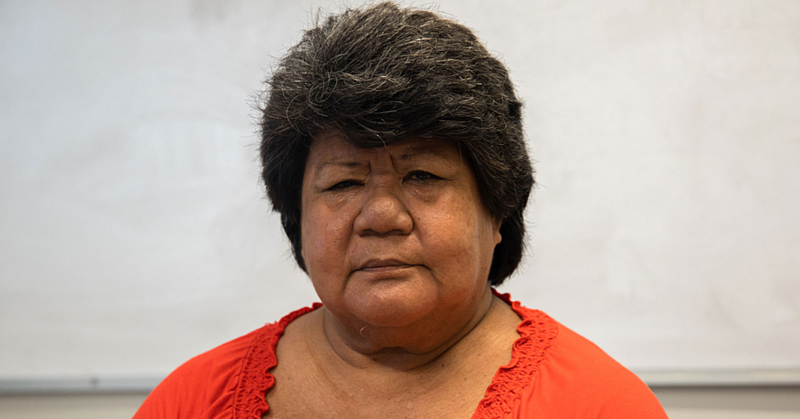 But he has continued to write Christian books in the Samoan language. In 2009, he was awarded his Retirement Medal from the Methodist Church in Samoa. Today, he lives with his children and grandchildren in Auckland, New Zealand. But the author continues to work. At 79-years-old, he intends to write more books before his 80th birthday in December.